Welcome to Student Employment at Gordon College! This site is designed to foster a positive network between students and employers. The Student Employment Office is a branch of Student Financial Services and provides students with part-time, temporary, and seasonal employment opportunities while enrolled at Gordon. One of our main services is our online job board. This job database houses over 1,500 non-professional job postings each year. On- and off-campus employers, including nonprofit organizations, for-profit companies, and private citizens, can post a variety of part-time positions to be filled by students. You are welcome to post your job on our board. Our system is such that once you have posted a job, you cannot view, edit, or remove it yourself, but we are happy to assist you at any time. Please visit our Employer Information page for more information on posting a job. Up to 700 students work on-campus each year in over 1,000 positions, earning an average of roughly $2000 a year. A student is not required to be eligible for Federal Work-Study in order to apply for on-campus employment. See what jobs are currently available on the job board. For more information about getting started with student employment, please visit our Accepted Student Information page. You can also find more information about student employment, including hiring procedures and frequently asked questions, on the GO site.  For more information on student employment at Gordon College, please visit our Prospective Student Information page.